Toa Samoa has to control the football a lot better this weekend if it wants to compete against Tonga. That’s the message from Head Coach, Matt Parish, who said the team’s capitulation in the second half against the Kiwis last week where they lost, 38-8, is a big lesson. 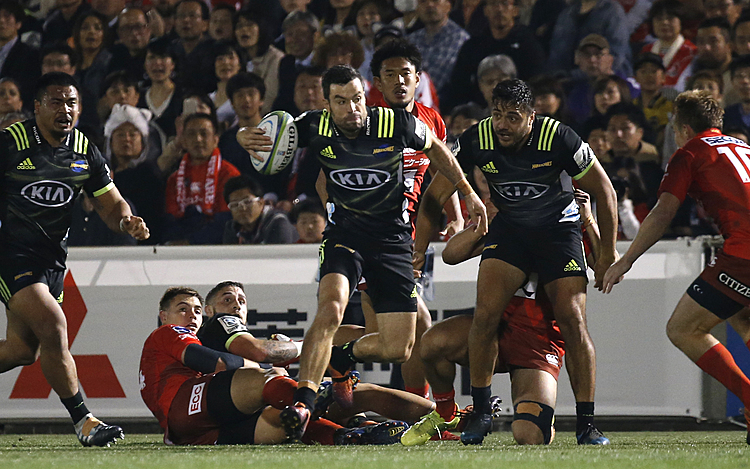 “Poor control of both possession and finish to our sets (kicking) let us down in the second half of our game against the Kiwis,” he told the Samoa Observer. 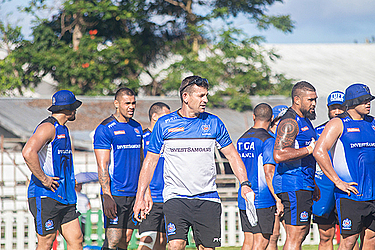 The Toa Samoa came out firing against the Kiwis. They had a better completion rate and they were playing the better football than their opponents. But all that went out the window in the second half and the Kiwis scored five unanswered tries to punish them. Coach Parish said fatigue and field position cost them dearly. The Toa Samoa will go up against the much strong Mate Ma’a Tonga this weekend in Hamilton. Mate Ma’a Tonga thrashed Bravehearts from Scotland last night in Cairns winning 50-4 at fulltime. Samoa and Tonga is one exciting contest of the Rugby League World Cup and will be one of the toughest and entertaining clashes, given these two rivals are proud Rugby League Nations. Parish said Toa Samoa must match Tonga’s intensity. Parish said they would also work on areas that were the cause of their downfall in the match against the Kiwis. Toa Samoa has made a couple of changes due to injuries (see line up on left). Parish said he expects the Tongans to be strong and physical but he assured Toa Samoa would not take that lightly.